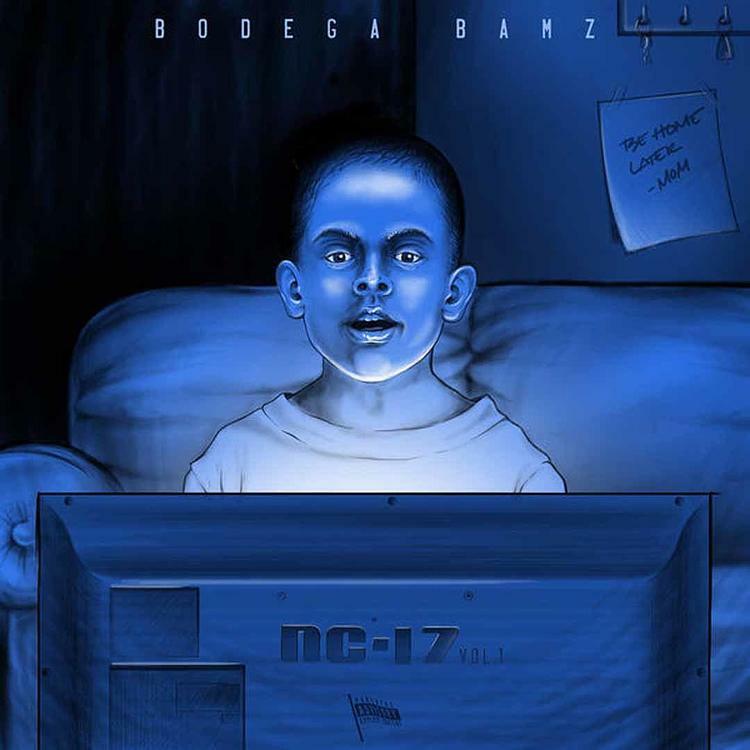 Bodega Bamz Drops Off New EP "NC-17"
Home>New Mixtapes>Bodega BAMZ Mixtapes> Bodega Bamz Drops Off New EP "NC-17"
Bodega Bamz comes through with a short offering on "NC-17." Bodega Bamz has been hard at work this year. The rapper came through with his album, P.A.P.I earlier this year and has been pushing that for the past few months. However, the rapper isn't letting the year pass without giving fans a little more. The rapper has now delivered another project for his fans titled, NC-17. Bodega Bamz is back with his new project, NC-17. The rapper initially teased the project earlier this week when he shared a snippet of the song "Iscream" off of the project and said that it was his favorite song on the EP. NC-17 is a short, four track offering from the New York native that fans will surely appreciate. Peep his new project below and keep your eyes peeled for new music from Bodega Bamz. Bodega BAMZ new music ep Mixtapes P.A.P.I. MIXTAPES Bodega Bamz Drops Off New EP "NC-17"